How much is Michael Wekerle Worth? Michael Wekerle net worth: Michael Wekerle is a Canadian merchant banker and television personality who has a net worth of $100 million. 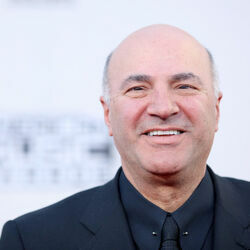 He is best known for being one of the "dragon" investors on the Canadian reality series, Dragon's Den. He is currently the CEO and co-founder of Difference Capital Inc which was started to invest in technology startups and spends a lot of his time donating to various charities such as CAMH, Bloorview Kids, Mount Sinai Hospital, Sick Kids Hospital and Toronto General. He has also been heavily involved with Seeds of Hope, and is a major sponsor of Opera Atelier. Prior to working with Difference Capital Inc, he was a Partner and Co-founder of Griffiths McBurney & Partners' (GMP) sales and trading operations. He served as Vice Chairman of Institutional Trading at GMP Securities until August 2011, where he was widely considered a leading investment advisor in Canada. During this time, he helped establish the firm's hedge fund, institutional trading desk and a reputation for assisting clients in profiting from large-scale transactions. In 2010, Wekerle experienced a bout of depression after his then-wife Lea-Anne died of a heart attack. His behavior became increasingly erratic over the next several months; and he allegedly engaged in drunken, rowdy and disorderly behavior. As a result of his own past battle with depression, he has identified raising public awareness of depression and mental health as one of his key philanthropic goals. 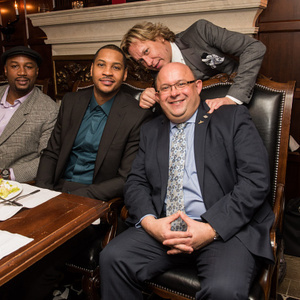 Separately from Difference Capital, he is a partner in the Canadian franchise expansion plans of Mark Wahlberg's Wahlburgers chain of restaurants, and purchased El Mocambo, a live music venue in Toronto.